Sugar scrubs can be used for facials. Homemade brown sugar and olive oil scrubs are beneficial to your skin because they help to gently exfoliate the surface layer of dead skin cells. They also remove dirt and excess oil. This leaves your skin clean, rejuvenated and moist without clogging your pores. You can use a homemade brown sugar and olive oil scrub on your face, but they are also good for areas of your body that are dry like your knees, elbows and feet. Measure 1/4 cup of olive oil and 1/2 cup brown sugar. Pour both the olive oil and the brown sugar into a small mixing bowl. Blend olive oil and brown sugar together. Mix with a spoon or clean hands until the two ingredients are well-blended. Apply the scrub in the shower. Massage onto your skin in a circular motion. Allow the scrub to sit on your skin for one minute. Rinse off with warm water. Add 1 tsp. 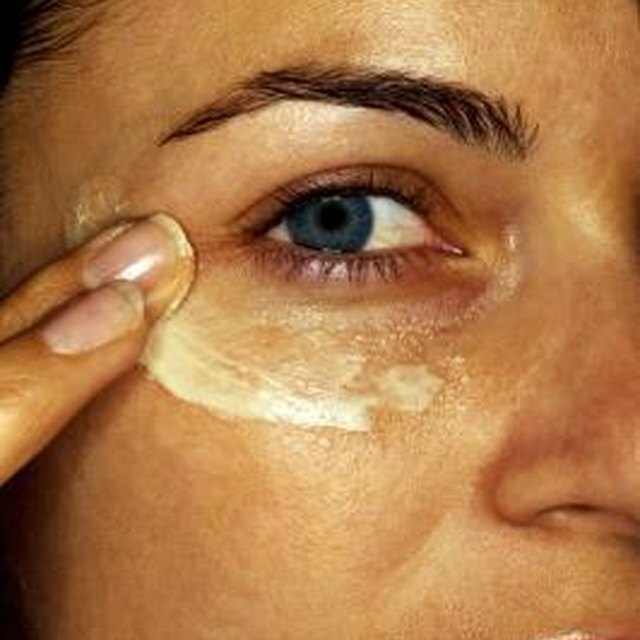 of vitamin E oil to the scrub for its skin healing properties. Do not use a brown sugar scrub on blemished or broken skin because irritation may occur.